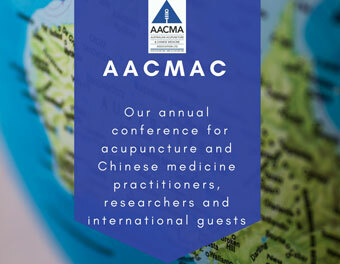 Welcome to website of the Australian Journal of Acupuncture and Chinese Medicine (AJACM). 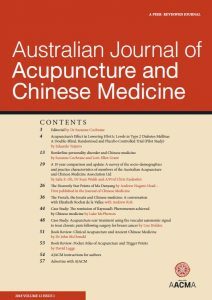 The AJACM is the official journal of the Australian Acupuncture and Chinese Medicine Association Ltd. It is Australia's paramount peer-reviewed journal for the acupuncture and Chinese medicine profession. Its primary focus is the publication of peer-reviewed articles that enhance quality and diversity in acupuncture and Chinese medicine clinical practice and research, and stimulate the exchange of ideas about clinical practice and the role of acupuncture and Chinese medicine in contemporary health care. AJACM publishes original research articles, general papers, reviews, case reports and case series and also includes general articles that are relevant to the Journal's objectives. The first issue of AJACM was published in 2006 and it has been published biannually since 2007. The AJACM is distributed to AACMA members only, but issues are made available to the public (open access) a year after publication. AACMA members can log in here to view the latest issue. To find out more about joining AACMA click here.